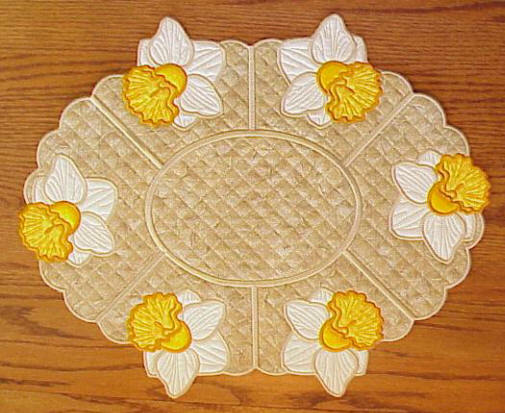 You Receive all the necessary panels to make this placemat. 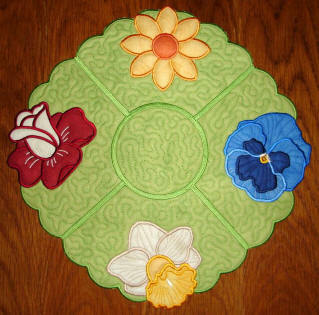 This set also contains a circle in 4 quilting variations so you can make a "round" doily. 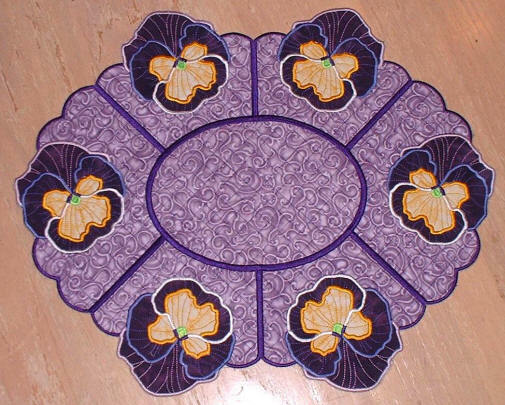 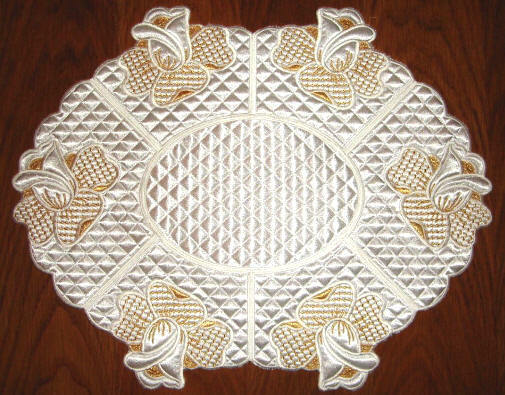 All in all you will be able to make 6 different variations of this placemat, giving each one a different look.